Apple’s New iOS 8 Is Jailbreakable? 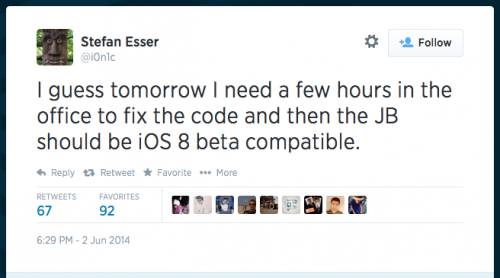 Good news for all jailbreakers – looks like Apple’s new iOS 8 is jailbreakable. According to what security expert Stefan Esser (aka i0n1c) has tweeted a couple of hours ago, the guys from Cupertino haven’t fixed the kernel bug used to jailbreak iOS-devices. This means that immediately after the public release of iOS 8 we may have a jailbreak for it. Download finished. Initial tests show that iOS 8 beta does not fix anything. Dumped kernel fine, but code changed and patches are not found. I guess tomorrow I need a few hours in the office to fix the code and then the JB should be iOS 8 beta compatible. Only question is if Cydia runs at all in iOS 8. Last month, i0n1c announced his jailbreak for iOS 7.1.1. Looks like the same utility will be able to hack the devices running iOS 8. However, I don’t think Esser or any other hacker will release a jailbreak for iOS 7.1.1 or iOS 8 now. You see, this may help Apple to fix the vulnerability used for jailbreaking. This is definitely not the thing we all need, right? 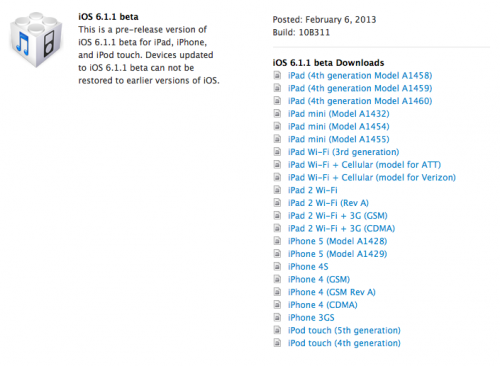 Apple has released iOS 6.1.1 beta to developers. It’s only been a week since Apple released iOS 6.1 to the public. And it’s just 48 hours after the iOS 6.x evasi0n jailbreak was released. Release notes indicate maps improvement and some other optimization. well, we understand that the main purpose of iOS 6.1.1 is probably to fix vulnerabilities used by envasi0n jailbreak. 6.1.1 beta is already out to developers! Obviously stay away from that. 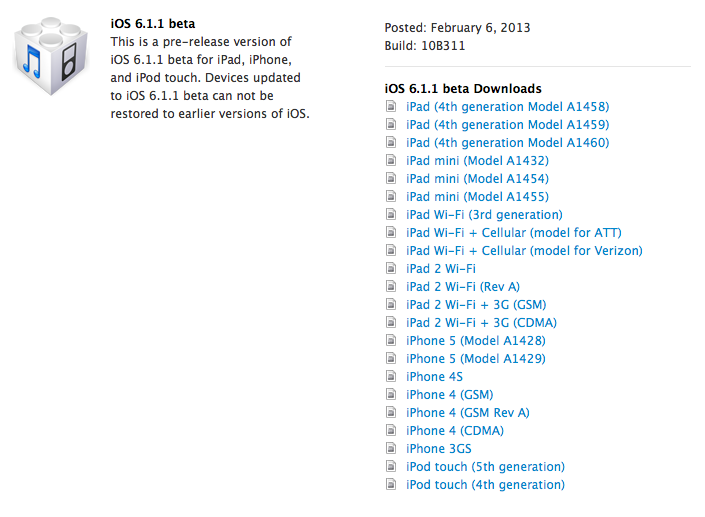 Developers can download the update from the iOS Dev Center. The U.S. Patent and Trademark Office revealed a patent application from Apple entitled “Systems and Methods for Identifying Unauthorized Users of an Electronic Device.” The invention describes methods to identify users through a picture, the sound of their voice, or even their heartbeat. If an unauthorized user were to attempt to access an iPhone or another device, the owner of the handset could be notified via a phone call, text message or e-mail. It could send the owner – or the police – a picture of the unauthorized user, or other information specific to the potential thief. The handset could recognize an unauthorized user if they do certain uncharacteristic activities with the phone, such as hacking, jailbreaking, unlocking, or removing a SIM card. The site was created in a week after decision of the Library of Congress (that operates the Copyright Office), which states that jailbreaking isn’t illegal, though Apple claims it actually represents a threat to the stability and security of the company’s devices. Apple also says that jailbreaking voids the warranty, but such an action can be easily undone by resetting a device to the default factory settings. Site JailbreakMe.com easily became a trending topic in Twitter after its announcement on RedmondPie.com. The jailbreak itself was created by hacker comex, and the website was done by chpwn and westbaer.